Asus is partnering up with start-up BlueStacks, to allow for the running of Android applications straight onto Asus PC computers. The software will come paired with all Zenbooks, Notebooks, Eee PCs, and other Asus desktop computers to allow the use of Android games, utilities, readers, etc right on your PC. To launch the service, Asus will include six months of free apps, but after that, users will be charged an unknown amount for unlimited access. 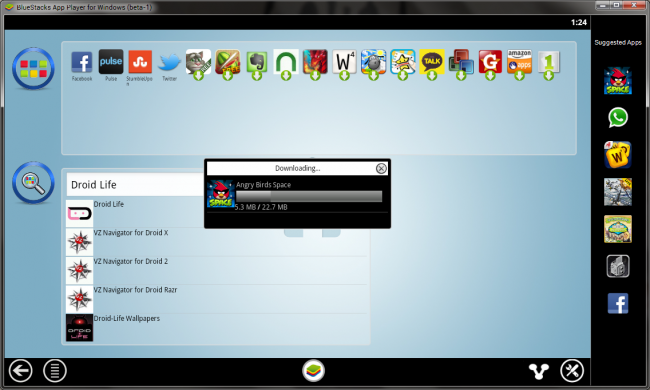 It’s a pretty awesome application if you cant live without your Angry Birds or Talking Tom Cat. Want to give BlueStacks a test run on your computer? Download it here. ASUS, one of the world’s top three consumer notebook vendors and a leading innovator in personal computing products, has partnered with BlueStacks to bring popular Android apps to 30 million Asus PCs worldwide. BlueStacks recently partnered with top app developers to bring popular Android apps like Fruit Ninja, Evernote, Pulse, Drag Racing, Defender, Tap Fish, Moviefone, Nook, Guns N Glory, Talking Tom and Kids ABC to the one billion strong PC market. 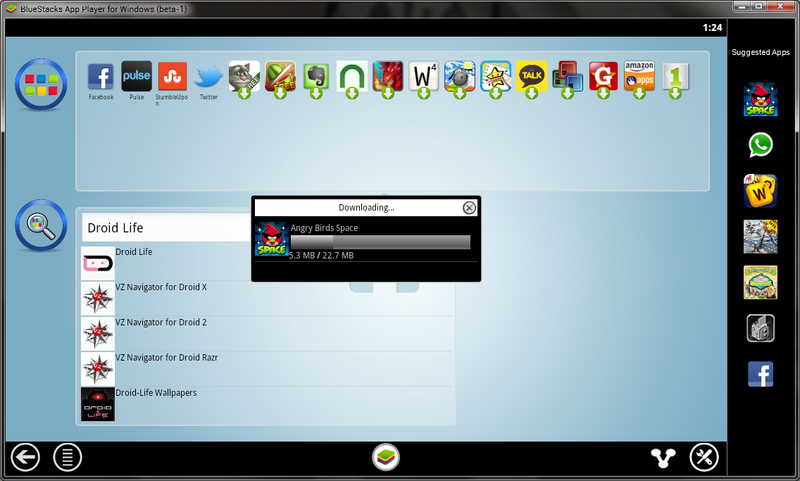 BlueStacks’ patent pending LayerCake technology enables Android apps on touch and non-touch Windows PCs. As part of this special arrangement with BlueStacks, users of asus@vibe will enjoy Android apps for free for 6 months, with the option to upgrade to unlimited apps and sync apps from phone to PC. The apps are integrated into and presented seamlessly within the @vibe platform across the entire range of ASUS products, including the ZenBooks, notebooks, Eee PCs, desktop PCs and All-in-one PCs. ASUS, one of the world’s top three consumer notebook vendors and the maker of the world’s best-selling and most award winning motherboards, is a leading enterprise in the new digital era. ASUS designs and manufactures products that perfectly meet the needs of today’s digital home, office and person, with a broad portfolio that includes notebooks, netbooks, tablet devices, servers, multimedia and wireless solutions, networking devices, mobile phones, motherboards, graphics cards, optical drives, displays, desktops, Eee Box and all-in-one PCs. Driven by innovation and committed to quality, ASUS won 3,886 awards in 2011, and is widely credited with revolutionizing the PC industry with the Eee PC™. With a global staff of more than 11,000 and a world-class R&D team of 3,100 engineers, the company’s revenue for 2011 was around US$11.9 billion. Turn Any Regular TV Into a Smart TV With This Kickstarter Project Called "Pocket TV"